Extensively renovated in 2011, Majeka House on the outskirts of Stellenbosch is a picture of contemporary elegance and quiet luxury. The sprawling five-star boutique hotel seamlessly combines old world style with a fashionable contemporary twist. 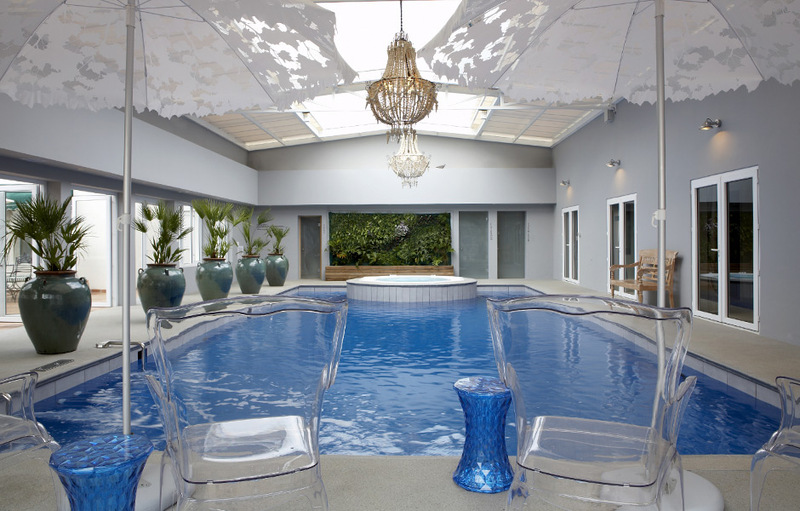 With a focus on relaxation, Majeka House offers a number of leisure facilities including a heated indoor swimming pool with retracting roof, outdoor swimming pool, Jacuzzi, steam room, sauna, gym and library. 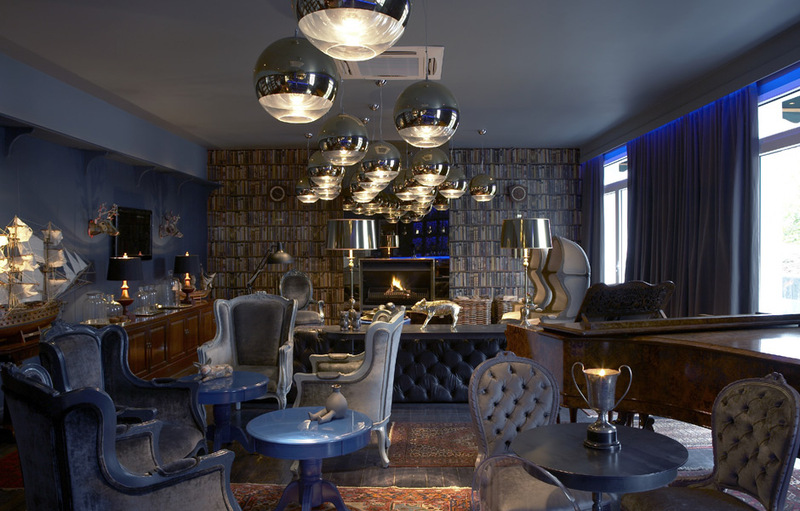 The M Bar is a modern take on a gentleman’s lounge / bar. The edges are softened somewhat by the decidedly feminine French Chairs juxtapositioned with oversized Chesterfields. 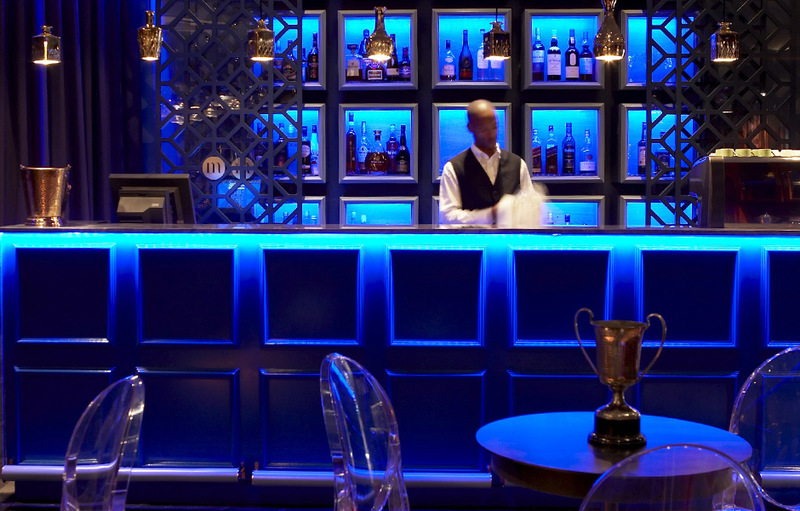 The smooth surfaces reflect the beautiful lighting, lacquered tables and LED-lit bar. The M Lounge offers a wide selection of classic and sophisticated cocktails and there is a comprehensive but carefully selected wine list with local and international wines which will compliment the elegant food served at the Makaron Restaurant. The glass enclosed, well ventilated cognac and cigar lounge with its oversized modern interpretations of classically designed chairs is a beautiful room that will delight smokers. The Makaron Restaurant offers guests a delightful culinary experience. Breakfast is a continental buffet with an affinity for home-made dishes and lunch is an organic country table filled with home-made breads, terrines and pates, salads and fresh vegetables from the hotel’s organic garden. Dinners are focused on fine dining and offer a choice of tasting menus or a la carte dishes. The Makaron Restaurant has a 750kg Gregor Jenkins table crowned with copper light fittings. The dining room tables were made by James Mudge who fashioned the French Oak tables with beautiful copper inlays. The chairs are an eclectic mix of Victorian Ghost chairs by Philippe STarcke and revamped vintage chairs. Well trained and dedicated therapists are on hand to provide the ultimate in luxurious and relaxing pampering. There are a variety of beauty and wellness therapies on offer. The Sanctuary Spa is the only spa in South Africa to offer the amazing Himalayan Crystal Salt bed with the benefits of colour therapy and deep relaxation. 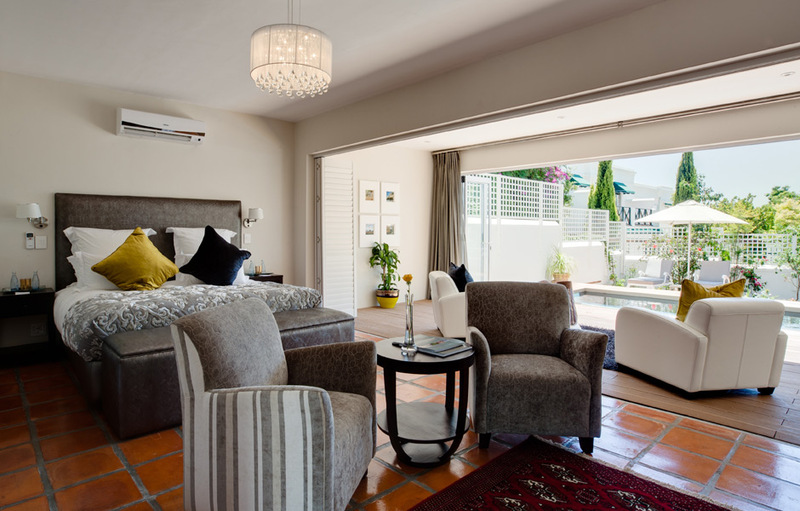 All rooms at Majeka House come standard with air-conditioning, free Wi-Fi, flat screen televisions with DSTV, Lavazza tea and coffee maker, electronic safes, telephones, full laundry service, heated towel rails, gowns and slippers. The linen is Chrysalis 300 thread count. Premier Rooms – Theses rooms are extremely large and comfortable and have their own private patio or balcony. Superior Rooms - Larger than the premier rooms with large private patio. The three superior rooms share a private outdoor pool. 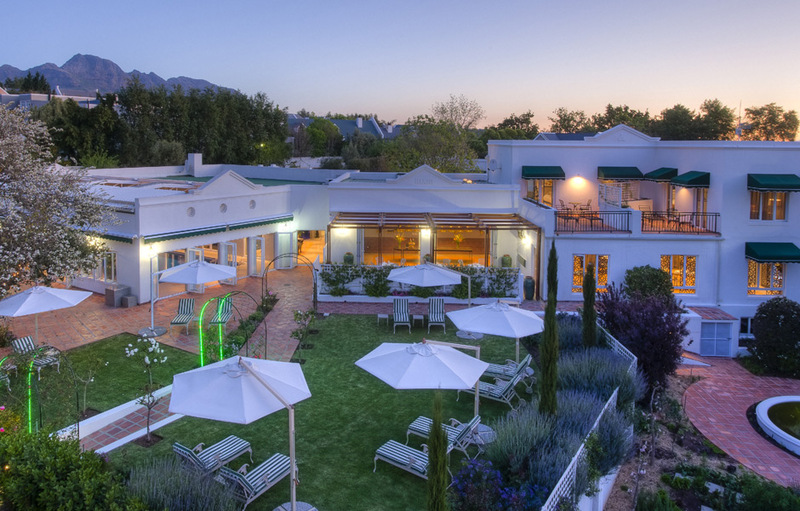 Mountain View Suites - There are two Mountain View Suites with a fabulous view from the terraces directly on to the Stellenbosch Mountains and the hotel’s beautiful gardens. They are available with a king bed per suite. 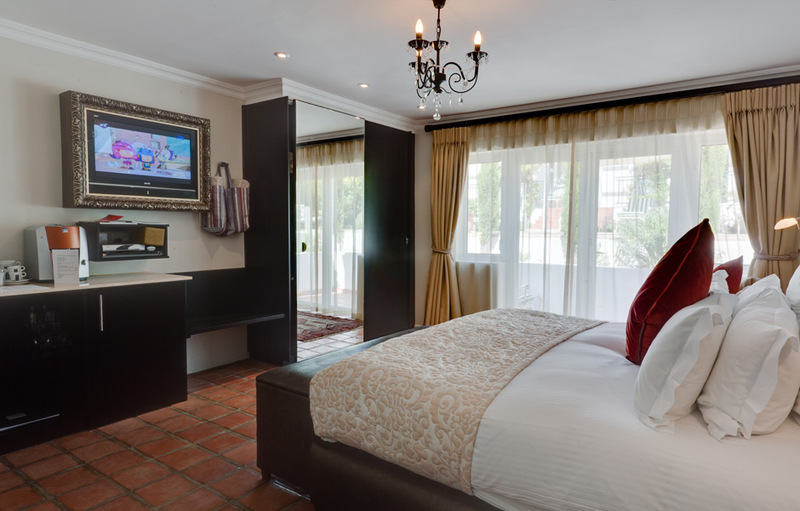 These rooms are extremely luxurious and were designed by the well known Etienne Hanekom. This is luxurious villa can be configured as a two or three bedroom accommodation. It has its own lounge, dining room, fully fitted kitchen and outside patio with private swimming pool. The villa comes with free Wi-Fi, full use of all Majeka House facilities with all the services and amenities to be found in our other room types.